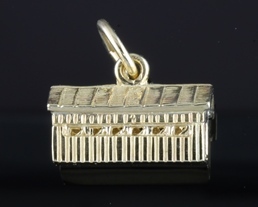 Handcrafted, custom designed replica of the Woodstock Vermont covered bridge in 14kt yellow gold. Beautifully detailed and engraved Woodstock VT on the bottom. In stock in 14kt yellow gold and sterling silver. Can be custom made in platinum or 18kt gold, as well. 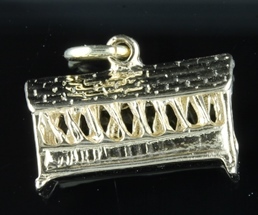 A replica of the Taftsville Vermont covered bridge in 14kt yellow gold. Also available in sterling silver. N.T. Ferro's own design of the bucolic Quechee Vermont covered bridge. Available in 14kt yellow gold and sterling silver. Can be custom made in platinum and 18kt gold, as well. 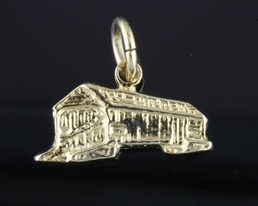 14K yellow gold Foster Covered Bridge Charm. Great for bracelet or pendant! Created by NT Ferro Jewelers after the covered bridge in Cabot, VT. Also available in sterling silver. This small covered bridge is the perfect gift to take home from Vermont. 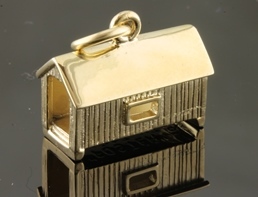 Shown in 10K yellow gold, this charm is available in 14K yellow or white gold or sterling silver. The iconic symbol of Vermont! 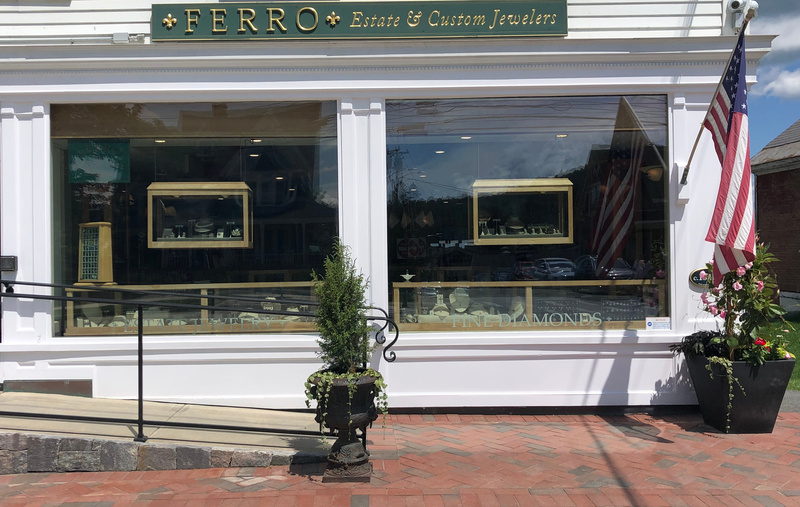 Custom crafted by Ferro Jewelers in Woodstock, VT from 14K yellow or white gold or sterling silver. Wear as a charm on a bracelet or as a pendant on a chain. 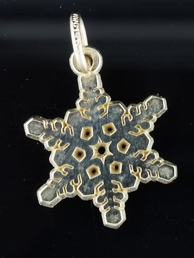 A Vermont snowflake in 14kt yellow gold. Also available in sterling silver. A N.T. 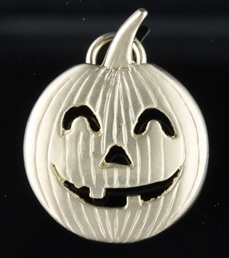 Ferro design, Jack-O-Lantern charm in 14kt yellow gold. Available in 14kt yellow or sterling silver. 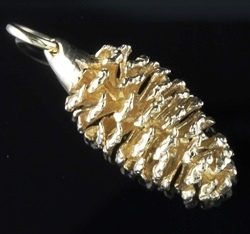 Custom designed large pine cone charm in 14kt yellow gold. Also available in sterling silver. A N.T. 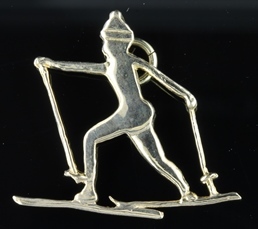 Ferro custom designed charm of a cross country skier. Available in 14kt yellow gold or sterling silver. 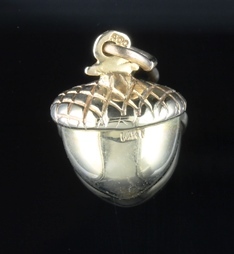 Vermont acorn charm. Available in 14kt yellow gold and sterling silver. 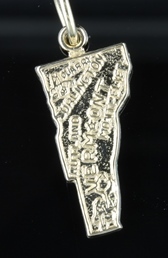 The state of Vermont in 14kt yellow gold. Also available in sterling silver.